East Devon based Heritage Garden Services cover Exmouth and the surrounding area and specialise in a wide range of fencing styles. These include overlap, closeboard, trellis & decorative panels. 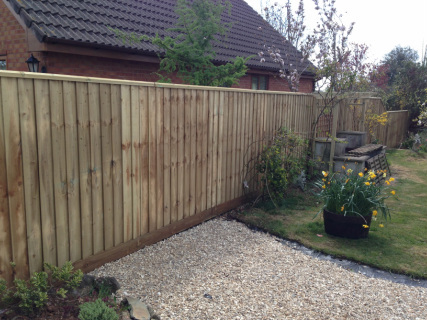 Be it a small back garden or a paddock that needs fencing, we can erect picket, featheredge and post and rail fencing that can be both decorative but also offer security and protection to your Exmouth property. 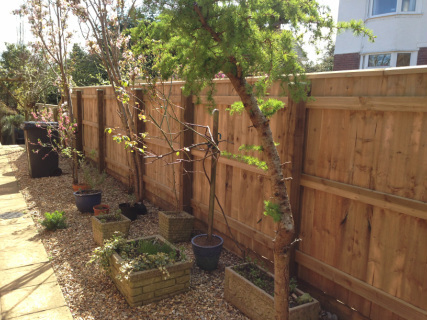 The accompanying gallery of fences we have built shows you just some of the examples that we can offer our Exmouth Fencing customers.